The Vault is an interactive single player game with adjustable difficulty levels from easy to impossible. 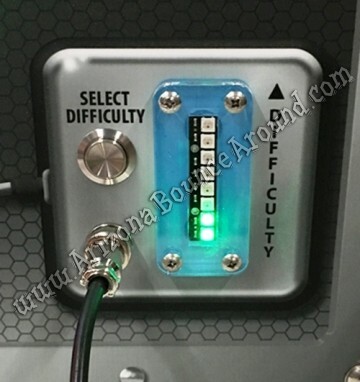 Just select the difficulty level and start the game. 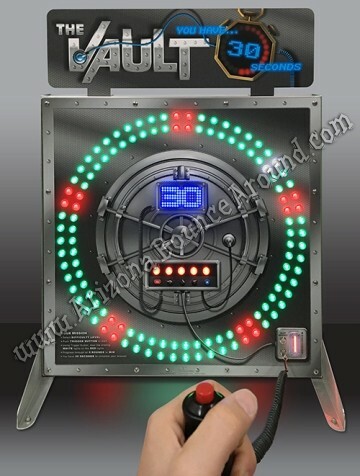 The object is to press he handheld button as the lights go around trying to stop the lights on the red to open the Vault. It sounds easy but there are several of them to hit in 30 seconds. 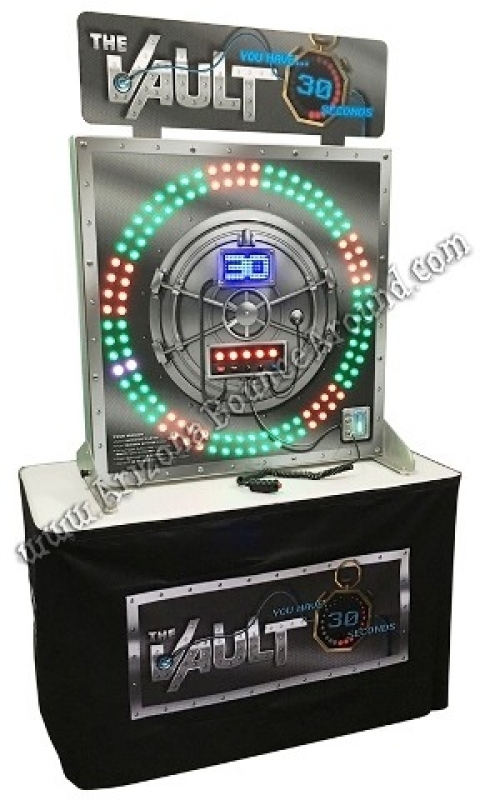 This is a great game for carnivals, trade show booths, company parties or adult birthday parties to entertain your guests. This game is good for kids, teens, and adults and comes complete with a skirted table ready to play.